A team of scientists from Rice University, the University of Houston, the University of Alabama and Lamont-Doherty Earth Observatory will participate in an ambitious $25 million study aimed at determining how quickly Antarctica's massive Thwaites Glacier could collapse. The Thwaites research program, a joint undertaking of the National Science Foundation and the United Kingdom's Natural Environment Research Council, was announced today. U.S. and U.K. officials say the International Thwaites Glacier Collaboration (ITGC) is the largest joint project undertaken by their nations in Antarctica since the mapping of the Antarctic Peninsula more than 70 years ago. Antarctica is covered by ice up to 2 miles thick, and gravity compresses the ice and causes it to move under its own weight. Thwaites drains ice from an area of West Antarctica almost as large as the state of Washington and is one of the largest Antarctic contributors to modern sea-level rise. From satellite measurements, scientists know that Thwaites' rate of ice loss has doubled since the 1990s. A full collapse of the glacier could add several inches to global sea levels, and ITCG includes eight projects that hope to answer key questions about how much and how quickly Thwaites is changing. The Thwaites Offshore Research (THOR) project is led by principal investigator Julia Wellner, assistant professor of Earth and atmospheric sciences at UH, and includes Rice co-investigators Lauren Simkins and John Anderson, both of the Department of Earth, Environmental and Planetary Sciences. Simkins is a postdoctoral research associate and Anderson is the Maurice Ewing Chair in Oceanography. "We have an important role in understanding changes in Thwaites Glacier," Simkins said. 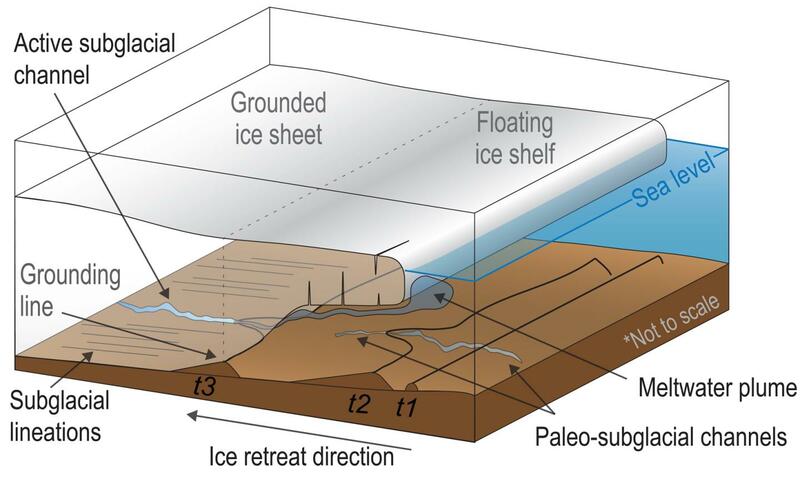 "The offshore geological record contains signatures of the glacier's retreat, and a better understanding of how the glacier has behaved in the past will allow us to better interpret what is observed today and what is predicted for the future." Because the land beneath Thwaites is below sea level, the glacier's "grounding line" — the place where ice, land and water meet — is beneath a thick ice shelf that extends miles into the Amundsen Sea. Inflows of warming ocean currents beneath this and other Antarctic ice shelves have caused the grounding lines of Thwaites and other West Antarctic glaciers to retreat rapidly in recent years. THOR will use a suite of marine geological and geophysical data to examine how Thwaites retreated in the past and to determine key boundary conditions that help control its retreat. THOR scientists will make high-resolution geophysical surveys of the seafloor from research ships and they'll collect sediments from the sea floor as well as a drilling rig that can melt holes through up to 5,000 feet of the floating ice shelf. Additional co-investigators on the THOR project include the University of Alabama's Rebecca Minzoni, Lamont-Doherty Earth Observatory's Frank Nitsche and U.K.-based investigators Robert Larter, Alastair Graham, Claus-Dieter Hillenbrand, James Smith and Kelly Hogan.